Stile Antico is firmly established as one of the world’s most accomplished and innovative vocal ensembles. Working without a conductor, its twelve members have thrilled audiences throughout Europe and North America with their fresh, vibrant and moving performances of Renaissance polyphony. Its bestselling recordings on the Harmonia Mundi label have earned accolades including theGramophone Award for Early Music, the Diapason d’or de l’année, the Edison Klassiek Award and the Preis der deutschen Schallplattenkritik, and have twice received Grammy® nominations. 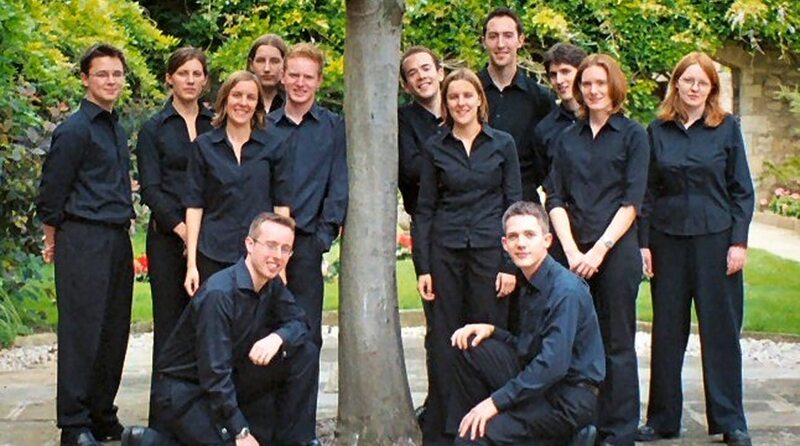 Based in London, Stile Antico has performed at many of the world’s most prestigious venues and festivals. The group enjoys a particularly close association with the Wigmore Hall, and has appeared at the BBC Proms, Buckingham Palace, the Amsterdam Concertgebouw, the Cité de la Musique, the Palais des Beaux-Arts and the Luxembourg Philharmonie. Stile Antico is frequently invited to perform at Europe’s leading festivals: highlights include the Lucerne Easter Festival, the Rheingau, Schleswig-Holstein and Wroclaw Festivals and the Antwerp, Barcelona, Bruges, Granada, Utrecht and York Early Music Festivals. Since making its critically acclaimed North American debut at the Boston Early Music Festival in 2009, Stile Antico has returned frequently to the US and Canada, performing regularly in Boston and in New York’s Music Before 1800 and Miller Theatre series. Further appearances include Washington’s Library of Congress, the Chan Centre in Vancouver, the Quebec Festival of Sacred Music, at Duke, Michigan and Yale Universities, and in concert series across 19 US states. In 2010 Stile Antico made its debut at the Cervantino festival in Mexico. Alongside its concert and recording work, Stile Antico is passionate about sharing its repertoire and working style with the widest possible audience, and its masterclasses and workshops are much in demand. The group regularly leads courses at the Dartington International Summer School, is often invited to work alongside ensembles at universities, festivals and early music forums, and is preparing to expand its education work in schools under the auspices of the newly-created charitable Stile Antico Foundation. Stile Antico looks forward to celebrating its tenth anniversary season, beginning in Summer 2015.